A fire protection specialist doesn't just help property owners and managers to install their fire safety systems. He or she also can represent their client in court for zoning and building purposes. Later on, the same fire protection specialist can help inspecting the installation on a regular (and legally-mandated) basis. Finally, the fire protection specialist can perform required maintenance and upgrades, especially if it's their own work. So, on your quest for supreme fire protection consulting, you should opt for Fire Protection Group, Inc., the premier fire safety contractors in Southern California. Their fire protection consultants have over 200 years of experience. Much of this has entailed dealing with fire departments, zoning and building groups, and insurance companies. Members of the Fire Protection Group, Inc. staff have worked for the Los Angeles Fire Department, the American Fire Sprinkler Association, and the Los Angeles City Fire Sprinkler Technical Committee. George Saadian, general manager and lead engineer, has actually written code for the National Fire Protection Agency. Furthermore, Fire Protection Group, Inc.'s successful clients and projects include work for a diverse range of clients like California State Polytechnic University, the Beverly Hills Hotel, and the City of Redondo Beach. They've even done work for NASA/Edwards Air Force Base. Also, Fire Protection Group, Inc.'s fire safety consultants are well-versed in a plethora of installations. They know all types of fire sprinkler, standpipe, fire alarm, monitoring, and other fire safety systems. Emergency lights, backup generators, and detection structures are easily manufactured and assembled. Plus, they're authorized by the City of Los Angeles to do Regulation #4, Title 19, and NFPA 25 testing. 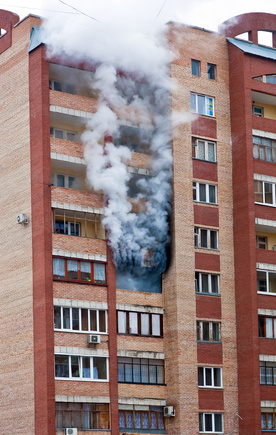 Learn more about Fire Protection Group, Inc. at www.firesprinkler.com or by calling 888-732-4200.